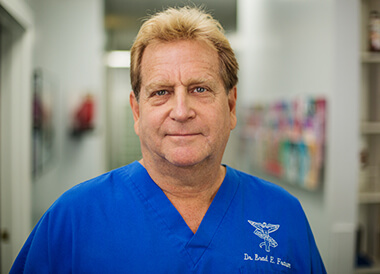 Since 1991, Dr. Fraum has delivered high-quality health and wellness care to patients wishing to eliminate their pain and optimize their function. At Fraum Chiropractic Life Center, we welcome every member of the family, from babies, children and moms-to-be to aspiring athletes, senior citizens and those injured in an accident. We emphasize a holistic and natural approach to health care that produces consistent results for those we serve. The experienced care at our chiropractic center is all about you. Your well-being is our primary focus, and we will always go the extra mile to ensure your satisfaction. In his undergrad studies, Dr. Fraum was pre-med but then decided to switch to a psychology major. He had suffered from severe seasonal allergies and hay fever since childhood, and it was around this time that he began to see a chiropractor. His lifelong symptoms began to dissipate, and it wasn’t long before his allergies had been eliminated. This welcome transformation in his health made him know that the profession of chiropractic was his future calling. After earning his Bachelor of Arts in Psychology from the Queen’s College of the City University of New York, Dr. Fraum received his Doctor of Chiropractic degree from Sherman College of Chiropractic in Spartanburg, South Carolina. Since that time, his contributions to his profession, as well as to the many patients under his care, have been nothing short of astounding. Dr. Brad Fraum was recently interviewed on Studio Three NBR-FM. Dr. Fraum’s considerable influence extends to his family as well. He is the first in his family to become a chiropractor and has been joined in the profession by his brother, uncle and cousin. When Dr. Fraum isn’t busy attending to the needs of his patients, he enjoys quality time with his wife Sharon, son Collin, daughter Blake, son-in-law Jimmy, and new grandson JP. He also enjoys boating, exercising and recreational time in our beautiful community.